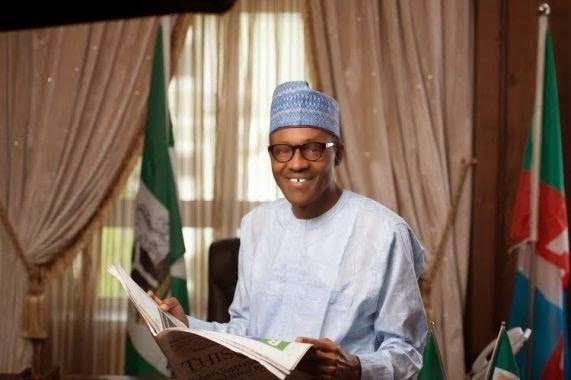 President-elect Muhammadu Buhari has a reputation of a no-nonsense clean man who has a low tolerance for corruption. Such a reputation was partly responsible for his victory in the last presidential election, which many believe was one of the most keenly contested polls in the history of Africa’s most populous country. But how far such an image will come in handy as he confronts the scourge of corruption in the coming days and weeks remains a matter of conjecture. The incoming President is already talking tough about what he will do when he assumes office on May 29. He has already told those who care to listen that no corrupt politician would serve in his government. He has also promised to plug most of the leakages of the national treasury and announced that he would be probing the allegation of the $20bn, which a former Central Bank governor, Lamido Sanusi, alleged had yet to be remitted to the federation account some time ago. No doubt, all these statements are very useful to send the signal that the incoming government will not be business-as-usual. Indeed, political will is very crucial in any successful fight against corruption. The General obviously has a lot of it. However, it is not sufficient. How he will translate his grand rhetoric to verifiable action remains a daunting challenge. It is instructive to note that individuals do not fight corruption, institutions do and if you ask me, I will say our institutions have been eroded significantly. Different scholars have described the character of corruption in Nigeria in many interesting ways. Many say it is endemic, some say it is perennial, while others insist that it is systemic. In all, the virus of corruption seems to have eaten deep into the fabric of the Nigerian society including the political class. Many refer to the scandalous level of theft of public funds, which has led to scandalous wealth of the ruling elite, with growing poverty and misery among the masses. We must not forget that previous anti-corruption interventions in Nigeria have yielded elusive results. Some accounts suggest that Nigerian leaders might have stolen or mismanaged up to US$412bn of oil revenue since independence, which amounts to six Marshall Plans. One observer noted that both military and civilian regimes in the country were pervaded by corruption, aided and enhanced by oil revenues, which has created extreme kleptocracy leading to the scandalous wealth of the ruling elite, with growing poverty and misery among the masses. As if to reaffirm this, two Nigerian scholars, Wale Adebanwi and Ebenezer Obadare, once observed that in Nigeria, public office is regarded as an opportunity for stealing, something that is now known as access to the national cake, referring to public funds derived from oil. Billions of dollars traceable to Nigeria are still lying in many offshore financial centres like Switzerland, Luxemburg, Cayman Islands, British Virgin Islands, Kingdom of the Principality of Liechtenstein and others. That should give the incoming administration a snapshot of what lies ahead. I contend that the nature of corruption in Nigeria has not been adequately understood and, unless that happens, Buhari may end up applying the wrong remedies. While I do not claim to have all the solutions, I must counsel the incoming administration to be weary of pre-conceived and untested ideas about reforms that do not have relevance to our peculiar context and political terrain. Strengthening the anti-corruption institutions will be a good idea, but when there are too many agencies doing the same thing, it may end up creating unnecessary duplication and promoting the corruption it is meant to fight. I have read that the incoming government is contemplating extending amnesty to corrupt politicians. Nice idea. One is curious about how it will pull that off though. Will they confess their sins and bring back part of the loot? What will be the criteria upon which it will choose those who will benefit from the amnesty? The issue of establishing a special court will be something nice to consider at this time. But who will be the judges? These same judges who grant dubious injunctions even on public holidays and at weekends to pursue preconceived political agenda? It is the Nigerian judiciary that added the word “perpetual” in the global lexicon of injunctions – all to protect the corrupt and powerful. My sense is that whatever anti-corruption approach that should be adopted must be made to be multifaceted just as the problem itself. We must not forget that the constitutional role of the National Assembly in providing oversight over executive excesses and rascality must be encouraged. If we have a National Assembly that is up to task, then the problem of corruption in Nigeria will be reduced by more than half. What we have seen in the past is a parliament that is bedevilled by myriads of corruption scandals. So who will the lawmakers discharge their constitutional role to when they have the same problems amongst themselves? Many observers will argue that there can be no better time to encourage an ethical introspection within our parliaments than now. Furthermore, the complimentary role of the civil society groups and the media should be encouraged and deliberately strengthened. There are many other indirect ways of fighting corruption like the issue of growing public trust and social capital among the society. While corruption is a negative manifestation of social capital, public trust is a positive manifestation of it. This has been tested in many Nordic countries that now have low levels of corruption. It involves leveraging on pre-existing networks of relationships among people in a society. There are empirical evidences that in societies where there is high public trust, there is usually low corruption and vice versa. Which means that the high corruption in Nigeria may be linked to low public trust. With the increasing level of mistrust in Nigeria arising from the divisive politics of the past, it is urgent and needful to begin to rebuild public trust among citizens, religions, for government and for the political elite in general. The direction of action of the incoming government will set the pace of how it will be perceived. Buhari’s image and his anti-corruption stance are useful but to rid Nigeria of the menace will take a little more. The stakes are very high and the world is watching how he will match his words with prompt action. Buhari must not allow the euphoria that heralded his victory and the expectations of Nigerians be dampened.